It was in May 2014 that Prime Minister Modi met his Japanese counterpart, Shinzo Abe, for bilateral talks; since then the two leaders have met each other 12 times in a period of a little over four years. The relationship has developed not just as a personal network, but each has worked to serve the interests of the nations that they represent. While India monitors the turbulent politics in its neighbourhood what with the Nepalese PM displaying a pronounced tilt towards China, Maldives yet to change over to the new government though the elections are over, the current change of the Prime Minister in Sri Lanka, and the elections in Pakistan making no difference whatsoever, the relationship between India and Japan is developing from one of ‘personal chemistry’ between the two leaders, to a deep-seated bilateral cooperation. It is quite evident from this, the fifth annual summit that India and Japan are fast becoming de-facto allies like no two other nations in Asia. 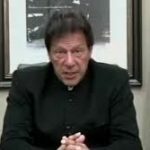 The transformation in relations is not an overnight success for either country. Two decades ago, the relationship was on the rocks; it was cordial, yet lacked substance. 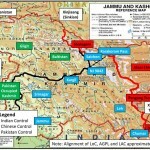 India had been the recipient of substantial Official Development Assistance (ODA) from Japan since 1958, but it was also at the receiving end of Japan’s ire after the nuclear tests in 1998, when Japan called for the imposition of severe UN sanctions and promised Pakistan to take up the Kashmir issue at the UNSC. At that time no one in the wildest of imagination, would have thought that the two nations would be signatories to a civil nuclear cooperation agreement in 2016, or that in 2014, the relations would be upgraded to ‘Special Strategic and Global Partnership’, or that India would receive the largest dole of Japanese ODA of more than $3 billion! What then brought about this transformation, which is also being termed as India’s biggest success in its Act East policy? The change was enabled by a growing convergence in the geopolitical and economic interests; India’s steady economic growth, as measured by its GDP, was one such factor. The second key factor was the growing menace of China’s muscle-flexing, perceived as a challenge by both nations. China’s claims on Japanese Senkaku islands, its opposition to both Japan and India being granted membership of UNSC, and its creeping expansion through the Belt and Road Initiative (BRI), led both nations to join hands. The third factor, and could be an important one, though unrelated to an extent, is that while Japan was still smarting after India’s nuclear tests, the then US President, Bill Clinton, made a 5-day state visit to India in March 2000. Japan was extremely surprised, to say the least, and the then Prime Minister of Japan, Yoshir Mori, visited India in August 2000. To use an old cliché, the rest is history! 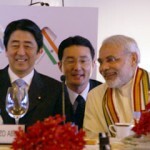 Japan has been involved in establishing some of the largest infrastructure facilities in India, which include the Delhi Metro, as it is popularly known, and the Delhi Mumbai Industrial Corridor (DMIC) – a $100 billion project; many more projects are near completion or are in the pipeline; in 2017, when the two leaders met in Gujarat, they were present for the ground-breaking ceremony of the Ahemdabad-Mumbai bullet train project. This just-concluded meeting is the last for Prime Minister Modi, before he faces elections next year. While India’s GDP growth rate is strong and steady, the economy is facing some turbulence. With the likelihood of the general elections in mid-2019, there could be added accompanying uncertainties. The agenda, therefore, had a special requirement of further consolidating the partnership between the nations. • Memorandum of Cooperation (MoC) between India’s electronics and IT ministry and Japan’s economy, trade and industry ministry on digital partnership to tap synergies between Japan’s “Society 5.0” and “Digital India” programmes. • Statement of intent between India’s NITI Aayog and Japan’s economy, trade and industry ministry to develop cooperation in the field of artificial intelligence (AI). • MoC between India’s health ministry and Japan’s office of healthcare policy to establish a mechanism to identify potential areas for collaboration in primary healthcare, prevention of non-communicable diseases, and maternal and child-health services. • Memorandum of Understanding (MoU) between India’s Export Credit Guarantee Corporation and Japan’s NEXI to stimulate trade and investment and strengthen cooperation in projects in third countries. • A $75 billion currency-swap agreement between India and Japan, to bring stability to foreign exchange and capital markets, at a time when the value of dollar is rising. • MoU between India’s Council of Scientific and Industrial Research (CSIR) and Japan’s Hiroshima University to promote research partnership in electronics, robotics and advanced manufacturing. • Exchanges of notes on seven Japanese loans worth up to 316 billion yen for projects such as the bullet train, Delhi Mass Rapid Transport System and North-East Road Network Connectivity Improvement Project. (Japanese loans come with a soft interest of 0.1 percent as against 4 per cent of China’s BRI loans). • Implementing arrangement for deeper cooperation between Japan Maritime Self-Defence Force and Indian Navy for exchange of information in maritime domain awareness. • Reviewing bilateral ties to enhance cooperation in the domain of defence equipment and technology, the two nations decided to further move ahead with the recent decision to collaborate in defence production. • To broaden defence ties, the two nations have agreed to launch a ‘2+2’ dialogue between the foreign and defence ministers, on the lines of what India has with USA. • The two leaders are also overseeing negotiations for a new military logistics pact known as Acquisition and Cross-Service Agreement (ACSA), which would offer the navies access to each other’s facilities of servicing and refuelling. This is once again similar to the agreement signed with USA in 2016. Since the US is deeply concerned of China’s sharp economic rise, and more so the increase in its military capability, it is assumed that it would join hands with India and Japan to contain Chinese influence in the Indo-Pacific region. However, the formation of such a straightforward alliance has been in disarray due to President Trump’s inconsistent and strategically clumsy foreign policy. Just prior to meeting Prime Minister Modi, the Japanese Prime Minister had travelled to China on a historic state visit, to move towards ‘an era of cooperation between Japan and China’. These two nations have been traditional Asian rivals; the ushering of a new age of cooperation is happening under the shadow of President Trump declaring an all-out trade war against China and his wanting to remove US troops from East Asia with a reduction in military activities, which has, in all probability, made Japan seek out China. With Japan and China setting aside historical differences, India too has been looking to manage its border disputes with China. It is President Trump’s chaotic stances that are getting the three Asian powers to recalibrate their complex relations. While President Trump may soften his China-centric rhetoric and modify his policies, Prime Ministers Modi and Abe seem to be moving ahead with a long-term vision where China looms large on the horizon. During his earlier tenure, in 2007, Prime Minister Abe had reached out to India to join a ‘quadrilateral’, with USA and Australia, to contain China. On returning to power in 2012, he once again mooted an idea of a “democratic security diamond”, involving the same four nations; however, the Indian Government fearing a Chinese backlash, dithered out of the idea. The quad idea had to wait till 2017 for it to be launched once again, but now doubts persist on it becoming operational due to President Trump’s strategic flip-flops. 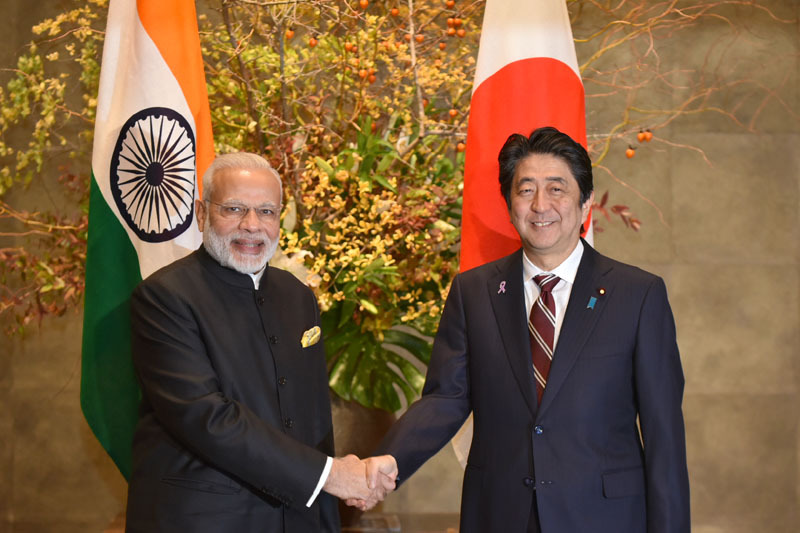 Nevertheless, the partnership being forged with Japan to speed up connectivity, and develop economic and strategic infrastructure, are significant for India and indicate steadily deepening economic, defence and security collaboration. While each country is making an attempt to ‘normalise’ relations with China, mutually shared apprehension of the Chinese behemoth has been the unspoken, but obvious, glue cementing the relations. India must cultivate its ties with Japan with care and understanding.